When I first met Sobia, the Creative Director / Artison of the Olive Tree Soap Company, on Instagram and Facebook I found myself instantly in love with her beautiful products and really wanted to know more about them. I’m in awe of all the amazing talent and creativity coming from the Muslim communities in Canada, it’s truly been an inspiration for me! 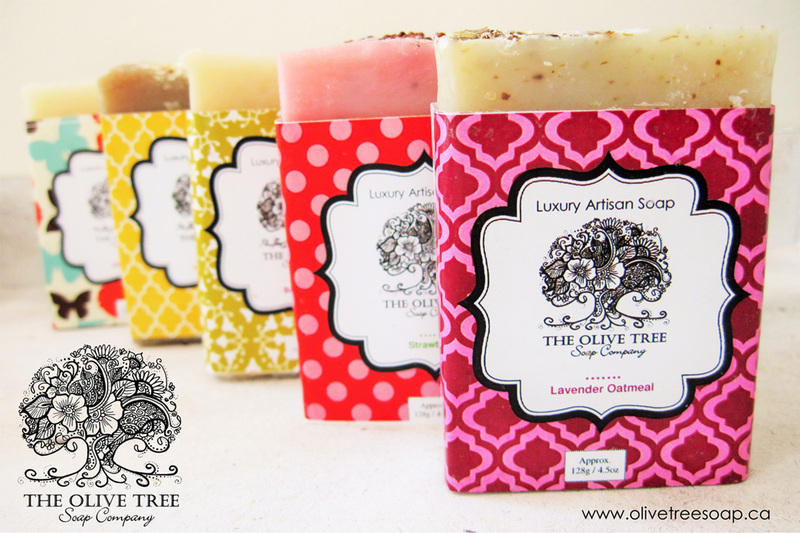 It was exciting to hear that the Olive Tree Soap Company recently partnered with Tetley Tea on the launch of their newest line and were also featured by Tetley Tea on a Mother’s Day Giveaway on the mainstream Canadian television show Cityline: Home Day. I live in Toronto, Canada. And yes, it is colder here in winter than most places but we Canadians manage it pretty well…at least most of us do! 🙂 And no, we don’t live in igloos. Our summers are just as hot as yours! In one sentence, describe your motivation in life. I have many goals in life which drive me, two of which are to strive for excellence and to be a seeker of knowledge for life, inshallah. This is what motivates me to push forward. Tell us the story of yourself and your business, and how you got started. As a young child, born and raised in Toronto, I always dreamt of becoming an artist. My greatest childhood pastime was to hide in my room in solitude, pull out my carefully kept 96 piece Crayola crayons and favourite colouring books – which I would only reserve for the weekends – and colour endlessly for hours. If not that, I was always crafting and creating something! I was truly blessed to have parents who nurtured and encouraged that creativity in me when I was little by providing me with all the creative materials my little heart desired, alhamdulillah. I am ever grateful for that. Eventually, however, with societal pressures and my own self-doubts, I opted to work towards going into medicine. Science, biology in particular, happened to be my other passion so it wasn’t all that bad. However with some interesting twists and turns in life, I am here now with the best of both worlds. I stumbled upon the art of soapmaking several years ago and it immediately spoke to me. It felt like it was my calling. The chemistry of soapmaking enticed my inner science geek while the designing of my packaging and soaps allowed me to get in touch with my artistic side. 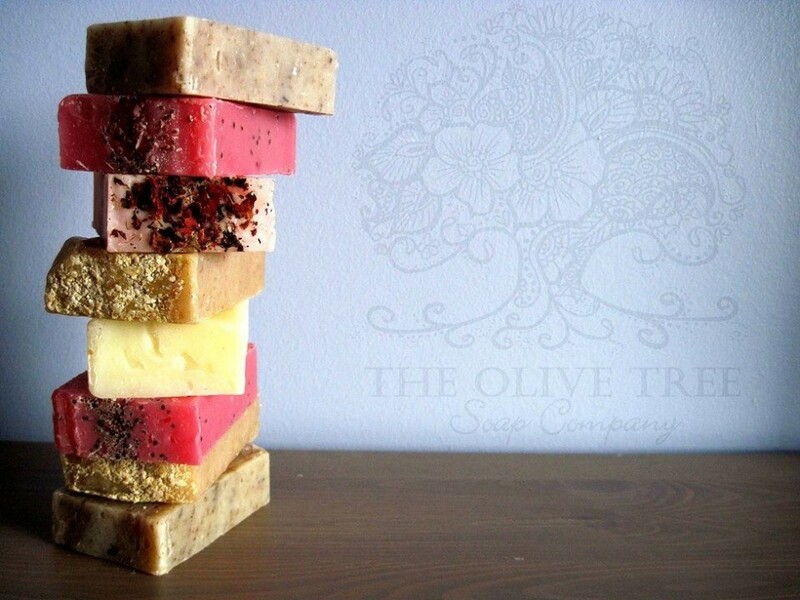 Soon enough, I delved into some classes, developed a strong passion for it, experimented with my own formulas and then launched The Olive Tree Soap Company in 2011. I’ve been running this business ever since and I am totally enjoying the journey! What is one of your favourite products of your business and why? I love my soaps. They are my babies (well…aside from my 3 children of course)! I love the entire creative process from designing the packaging to working with natural healing oils. Soapmaking is a fine marriage of science and art where beautifully created artisanal soaps come together through chemistry and a touch of creativity. And then there’s the soap cutting which I find it so therapeutic. The soothing feeling I get from the aromas of oils that release into the air as I cut, the feel of fresh soap on my hands and seeing my hard work become this beautiful bar as a result is so gratifying. The idea of being able to share a part of that joy and experience with others is priceless, alhamdullillah. What has been the highlight or ‘I can’t believe this!’ moment so far on your entrepreneurial journey? I’ve realized that as entrepreneurs, we can be our worst critics. Sometimes we can let our doubts take over our thought process and it ultimately makes us stumble and fall. Over time, I have learned to be less critical, more forgiving of my mistakes and understand that tomorrow will bring a new day, inshallah. How does your faith affect your approach to your business? My faith has a lot to do with my business. 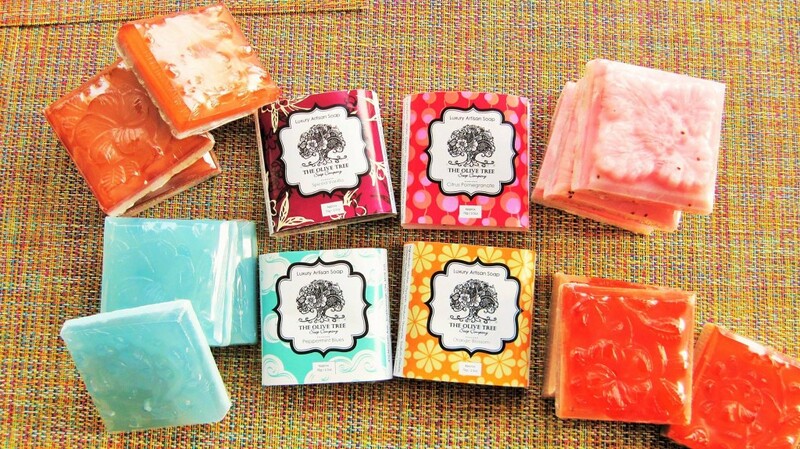 To me, my soaps are a part of me. They represent who I am and what I stand for. 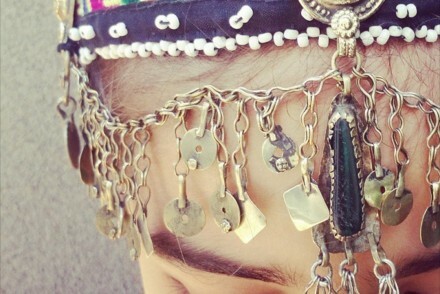 And so, I want it to display the best side of me as a Muslim. I want people to see these products and appreciate that Muslims, too, can create beautiful, quality products which can benefit others. I strive for professionalism in what I do which enables me to provide the best service to my customers and clients. As a Muslim entrepreneur, I think those are important values to uphold in our business practices. When the ideas of starting a business began to churn in my thoughts and I was full of doubt, I found inspiration looking up to Khadijah bint Khuwaylid (RA), the wife of the beloved Prophet (saw). Her exemplary life was enough for me to understand the beautiful balance she so gracefully carried between religion, business and relationships. She was not only a successful businesswoman but was the first woman to accept Islam and the strongest supporter of the Prophet (saw). She was generous with sharing her wealth and sacrificed her life for she believed in. Her piety, modesty, courage, strength and accomplishments are qualities we can all strive for as women. She is my role model. How do you handle the inevitable creative block, where you feel like you are the most uncreative person alive and you’re never going to succeed?? 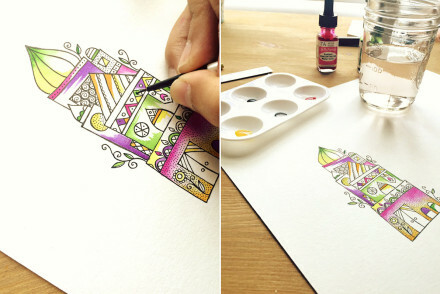 Whenever I experience a creative block, I step away from what I’m doing and try something entirely different whether it be watercolour painting, go for mini weekend getaway, read a book, or try a new recipe. I leave my work and put it aside, even if it means for a few days or weeks. There’s nothing wrong with that. I used to be really hard on myself before but I found that it wouldn’t help me unlock those blocks. In fact, I may have furthered and deepened those creative blocks with my personalized pressures and frustrations. So after some realizations, I decided that rather than me working against it, I would embrace it. And now, when a creative block hits, I take it as an opportunity to try something new. Surprisingly, some of those new experiences spark fresh new ideas and approaches I can take with my creative business which I may never have thought of before. I’ve learned to understand the creative thought process (and blocks!) a little better and I know the ideas will eventually return, inshallah. It’s just a matter of time. So, until then, I sit back and enjoy the detour. What 2 pieces of advice, based on your own experience, would you give to a fellow entrepreneur starting out? Never fear making mistakes and don’t worry about any of the naysayers. With mistakes comes growth. You learn and navigate through the obstacles to reach you to greater heights. Keep moving forward no matter what pace it may be at. You will encounter people who don’t share your passion and drive. They may even discourage you from your ventures leaving in you self-doubt. Don’t take their words to heart. Instead, surround yourself with positive people who are your supporters, cheerleaders and like-minded people who understand you. That incredible support propels you to achieve whatever you dream to do. You can do it. You’ll do great! I’m rooting for you! For personal use, I love Pinterest! 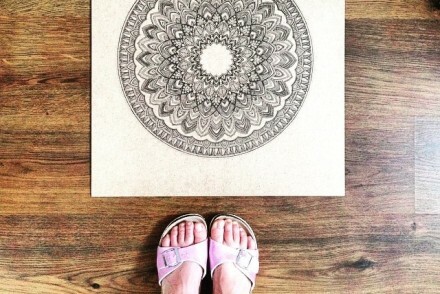 It’s full of inspiration and eye-candy. It functions at almost the same frequency as how my brain works and sorts ideas (I’m a visual learner). I’ve been on Pinterest since it’s beta phase and love how it’s grown to contain more diverse Pins. For marketing, I enjoy Instagram as it’s engaging, visual and a great way for me to connect with my fans. It give a behind-the-scenes look at what I’m doing and let’s my followers get to know me a little better. Australia! I went last year in July and left a part of my heart behind. I dream about returning again one day, inshallah. I can still hear the hypnotic roar of the vast Pacific Ocean on the most memorable coastal drive we ever took on Great Ocean Road. It invokes so many emotions and I’d love to reconnect to such a beautiful, awe-inspiring place. It’s sheer beauty, mashallah! 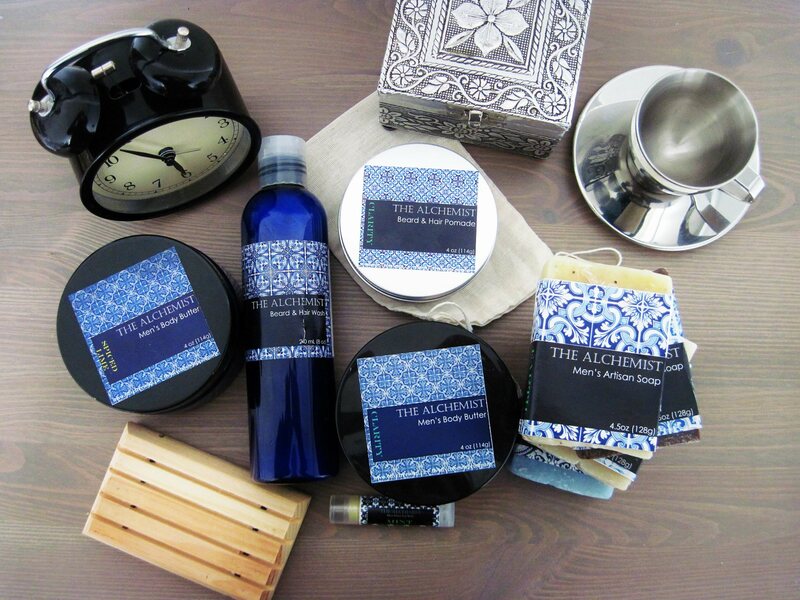 I would love to see my products in more uber chic stores throughout Toronto and perhaps worldwide, inshallah! I’d love to continue doing what I do but with more proficiency and higher production while still maintaining the artisanal integrity of my products. Maybe 10 years down the road, I’d also like to get involved on a business level in some charitable work whether it be helping to provide sanitation services for families in third world countries, or setting up fair-trade business to empower women in those communities…the possibilities are endless! Maybe one day, I can have a shop on one of the cobblestone roads in Istanbul in front of the Blue Mosque! Inshallah! I like to dream big, can you tell? ?